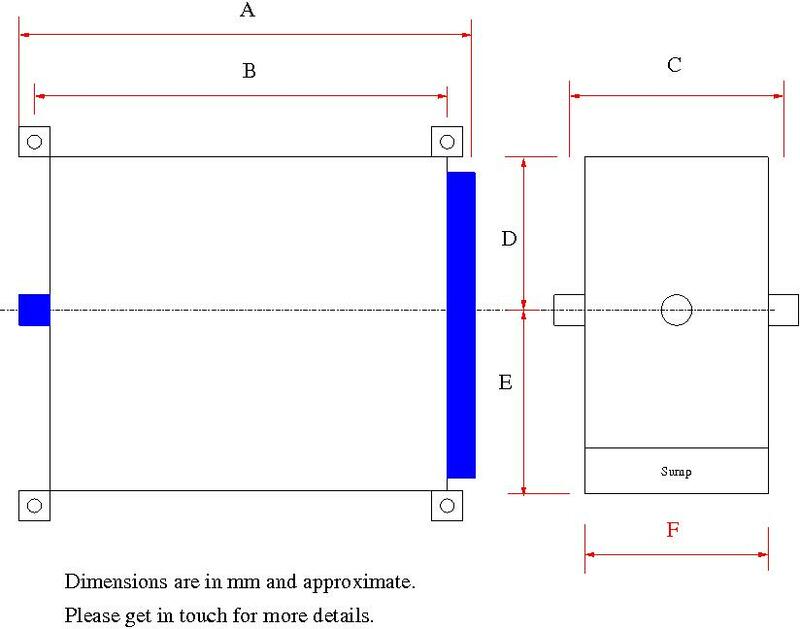 Gardner 6LW For dimensioned drawing, see 6LXB. Essentially they are the same. 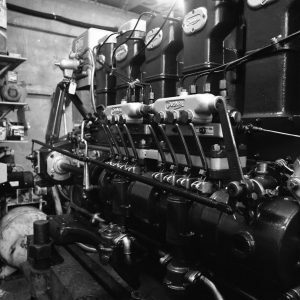 Many boat people believe that the Gardner was the best marine engine ever. Certainly in the early years of the last century they were hard to beat in terms of popularity. They are renown for their simplicity of design, build quality, reliability and low fuel consumption. 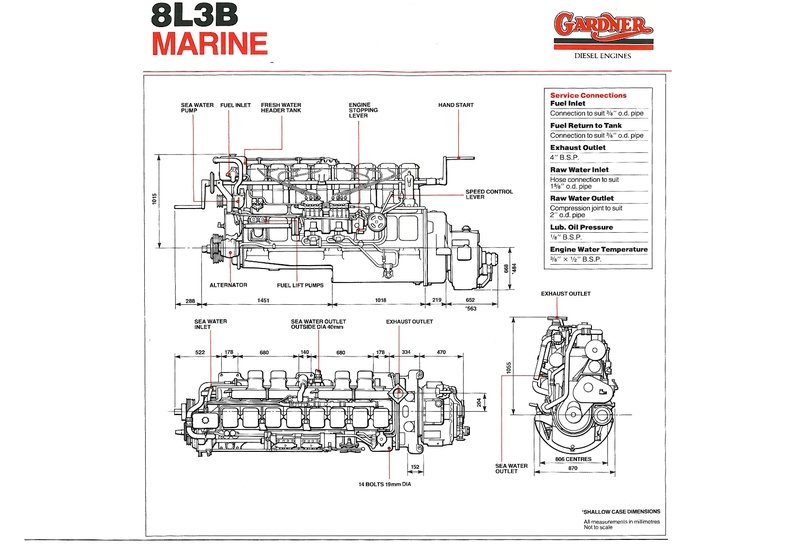 But amongst all the Gardner models, the L3B stands out as the creme de la creme. Here we feature the eight cylinder. 1960’s design L3B’s are perhaps unique in that they were intended primarily for marine use. 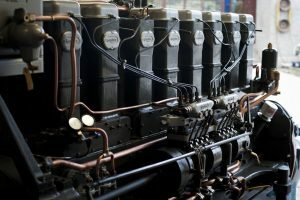 Their predecessor the 1930’s L3 developed 200bhp at 1200rpm and the new design, with improvements in injector pump, valves and other areas got this up 260bhp max at 1300rpm. 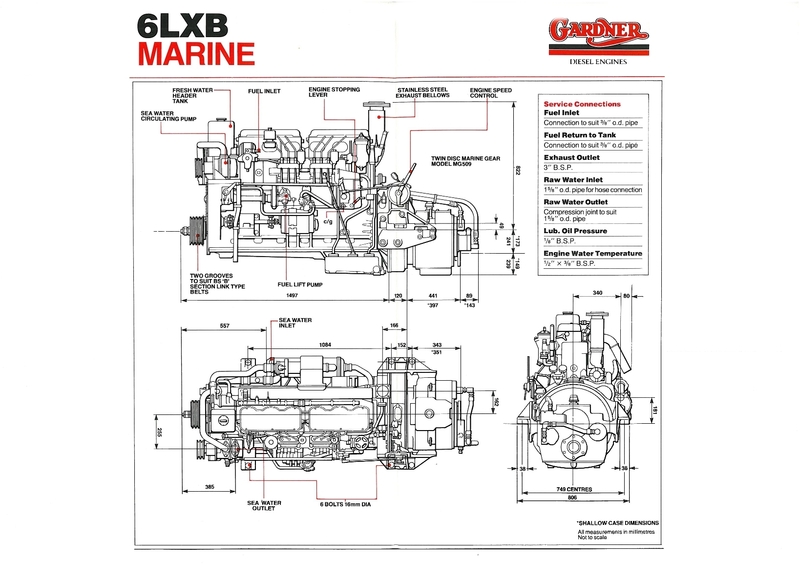 Prior to 1979, over 1500 8L3B’s were produced by Gardners and many are still in use all over the world. Of the six cylinder version 795 were made. 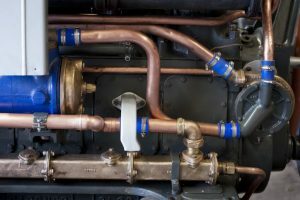 L3B liners are push fit and can be inserted with the engine in situ. They do not need hydraulic pressing. In similar vain, L3B pistons can be withdrawn from the crankcase without dismantling the engine. This is engineering design at its very best. 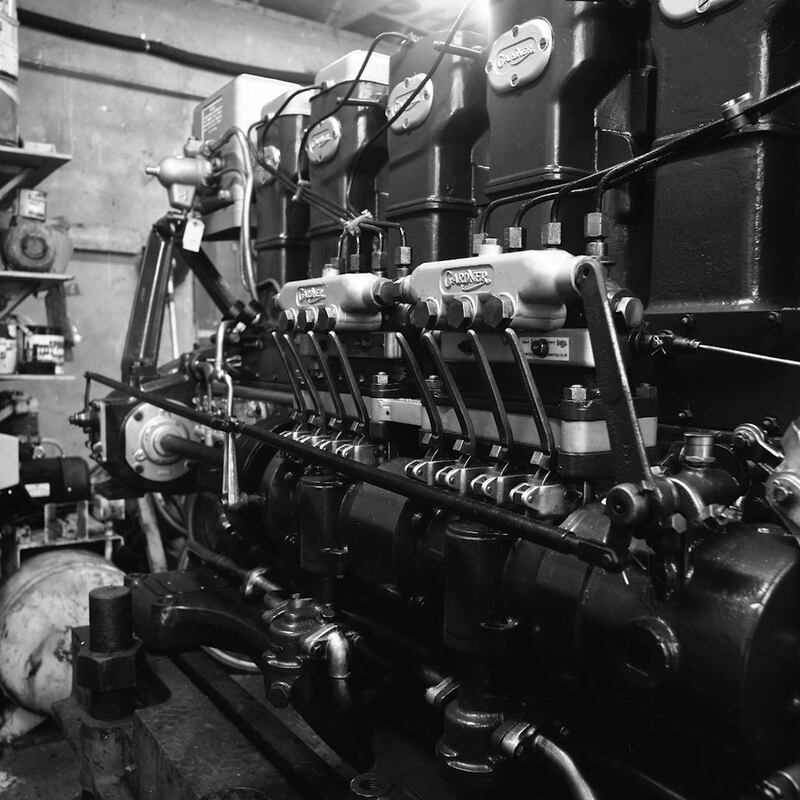 The image below features a engine we have restored for a customer in Whitby, UK. Note the decompression levers featured on the heads. These facilitated starting by hand. 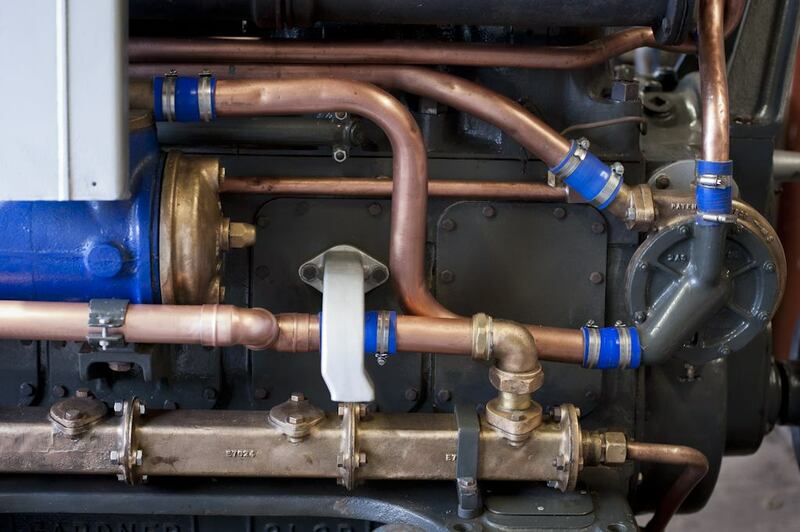 With all cylinders decompressed, the engine can be swung by manually. Even at low rpm, once one lever was dropped the engine will start and then the other levers can be dropped in turn. With the reliability of electric starters, hand starting is now rarely employed.